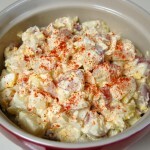 Recipe by Vivian Sherburn-Zartuche - Nothin' fancy here, just GOOD ol' fashioned potato salad! In a large pot, cover potatoes and eggs with cold water and 1 teaspoon salt. Boil over medium-high heat for 12-15 minutes or until potatoes are fork tender. Drain and cool. Peel potatoes (if desired) and 4 eggs, dice into bite size pieces. 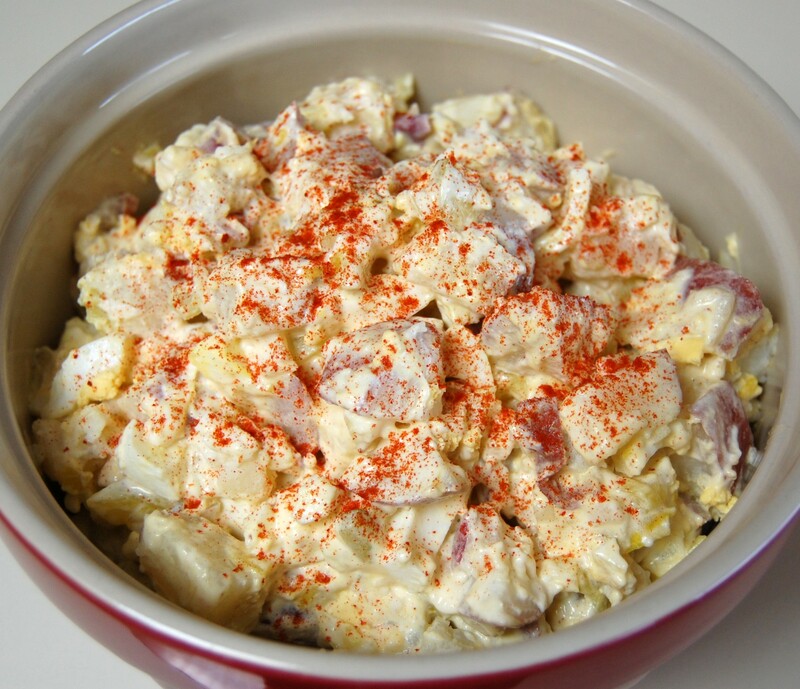 In a small bowl, stir together mayonnaise, mustard, seasoning salt and pepper to taste. Pour over salad and gently toss together. Slice reserved eggs to garnish salad, and sprinkle with paprika.